Cochlear implants are now routine treatment for adults where hearing aids are no longer working or for recent single sided deafness. 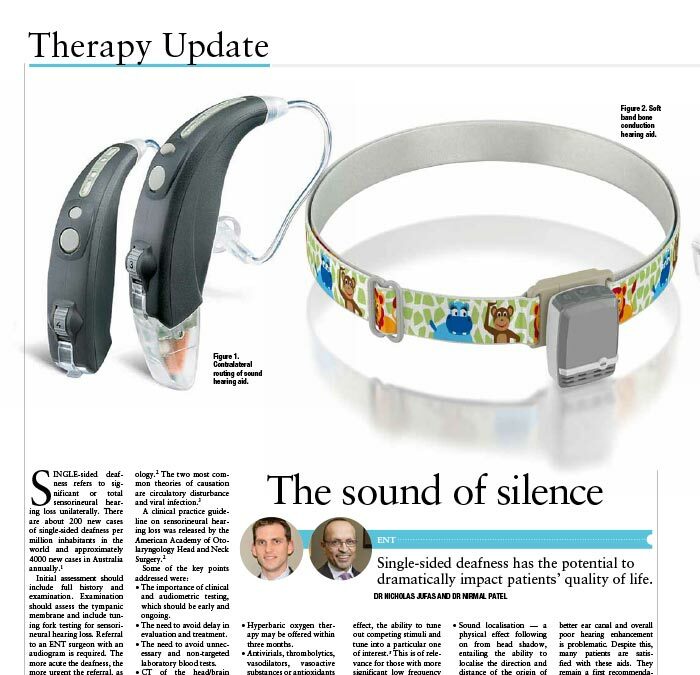 When hearing aids are no longer providing adequate hearing, a patient can hear loud enough but does not have clarity of words. This loss of clarity occurs from damage to the fine hair cells in the cochlea, that convert mechanical to electrical energy. A cochlear implant bypasses the damaged hair cells in the inner and directly stimulates the cochlea nerve. Single sided deafness occurs in 1 in 10,000 people and may have a devastating effect on quality of life from the loss of hearing and tinnitus. 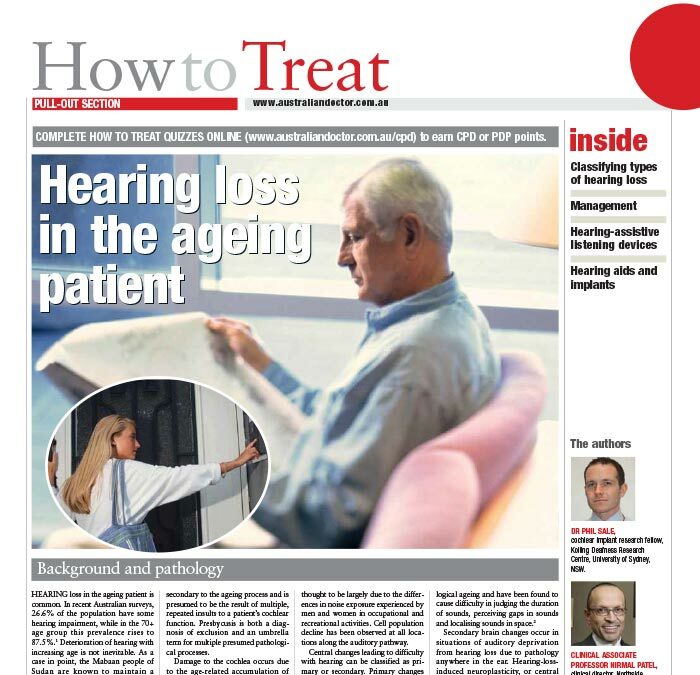 If the patient fails trials of other alternatives such as the CROS (contralateral routing of sound aid) or Bone anchored Hearing aid, then a cochlear implant may be an excellent option. The procedure is generally a day surgery operation with 3-5 days off work. The cochlear implant is switched on 2-3 weeks after surgery, once the surgical swelling settles. Associate Professor Nirmal Patel has been the Clinical Director of the Northside Cochlear Implant Program in Sydney since 2007. Nirmal has performed hundreds of cochlear implant surgeries using all three current brands of implant. For more information on cochlear implants, head to northsideaudiology.com.au.